Jayne Lloyd is the coordinator for the Snowdonia marathon. As an ex International Mountain runner, she took on the challenge of organizing this race in 2004. She wanted to give runners an experience that they would value and in the next few years the field has doubled in size and been voted as the best Marathon in Britain. Hello, on October 24th 2009, you’ll be organizing the Snowdonia Marathon. Can you tell us where it is located? The Marathon takes place in Snowdonia National Park and runs around the foot of the tallest mountain in England and Wales. This will be the 27th edition of the race. Why was it created in the first place? 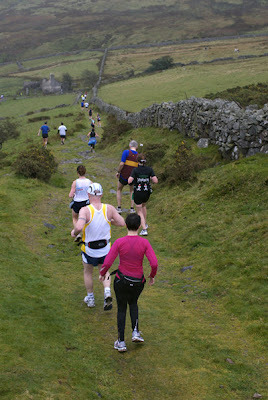 The Snowdonia Marathon is an event originally organised by the National Trust as a fundraiser for their Snowdonia Appeal. Money raised went towards the Trust’s environmental work in Snowdonia. This ranged from work on the many miles of footpaths and dry stone walls to maintaining tenanted farms and has been crucial in allowing local people to continue to make a living from the land. In 2007, the National Trust decided to reduce the amount of staff time and resources that it is prepared to put in to organizing the race. This is due mainly to staffing cutbacks throughout Wales. To this end, Snowdonia Marathon Cyf was formed and registered as a non profit making company. Any funds raised by the event now go directly back in to the community through donations. Some funds are used to help to ensure the sustainability of the event. 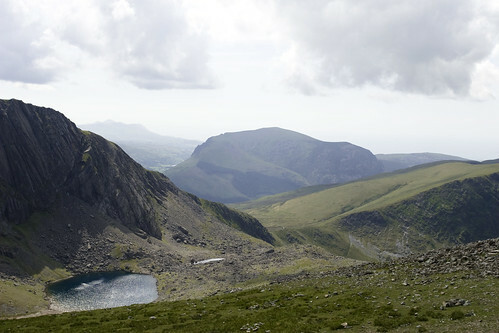 The route runs around the foot of Snowdon. It has good challenging climbs and long descents for stretching those legs. It has breathtaking views and has often been voted as the most scenic route in Britain. We have a limit of 1,750 entries and attract the hardiest runners – those who relish a challenge and are prepared to take on Nature at its toughest. We have junior races that take place whilst the senior race is on. We have had glorious weather for this race. Clear, crisp winter days that make you glad to be alive. On the other hand, we have had terrible weather with wind and rain making the biggest challenge just to get to the finish no matter what! We have local crafts and tea and cake – very British! The marathon finished, what advice would you give a runner who has never been to Nant Peris before? A good restaurant, a fancy sightseeing? 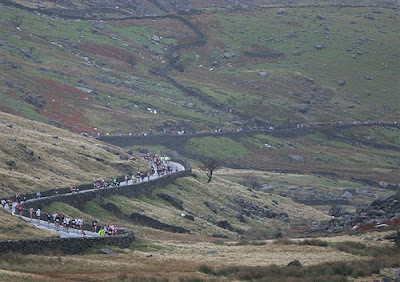 The race finishes in Llanberis in the heart of this beautiful National Park. Here there are a number of places to eat and drink. Nearby Caernarfon with its awesome castle is worth a visit as are many of the areas tourist attractions. 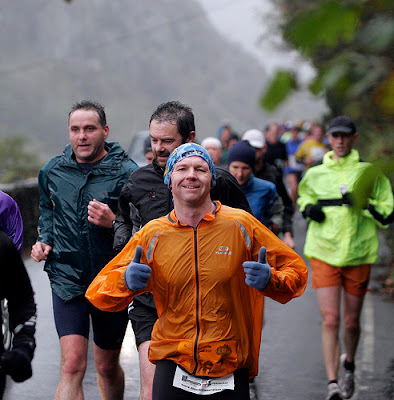 In a single sentence, what would you tell the readers of 42k195 to make them register for the Snowdonia Marathon? Challenge yourself to face 42.195 K of agony and ecstasy.